Root Canal. The mere mention of it can send chills down anyone’s spine, and leave you with an eerie, tingling sensation beneath your gums. We’ve all heard the horror stories that are circulating about this endodontic treatment. It’s supposedly excruciating, something no person would want to go through. Unfortunately, that’s a common misconception, as it only becomes painful for a particular patient because of the sorry state of his damaged teeth. In Sydney and everywhere else in the world, the procedure is one of the most feared dental treatments. Patients would choose tooth extraction rather than keep their natural pearly whites. That’s because there are too many myths and inaccurate information surrounding root canal therapy. Let’s debunk these myths, shall we? With modern technology and improved anaesthetics, it’s practically painless. The only reason why they would hurt so much is because the impacted tooth was already causing the patient excruciating pain to begin with. The treatment is actually done to relieve pain. They feel better after the procedure. Of course, when you have that infected pulp taken care of by a highly experienced dentist, you’ll surely be relieved after suffering for weeks. 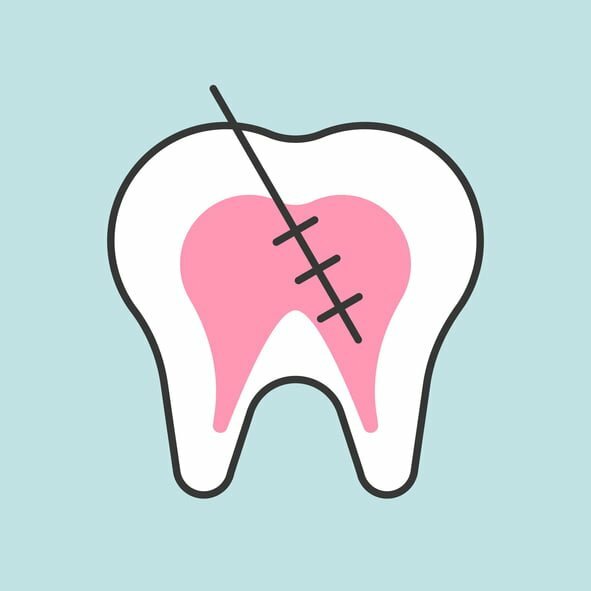 Contrary to common belief that this treatment won’t last a long time, millions of patients all over the world are discovering that it’s actually more cost-effective to opt for a root canal procedure. The treated tooth can last for years, possibly a lifetime as long as you ensure proper oral hygiene. If you don’t change your bad habits, you’ll naturally end up with damaged teeth no matter how much you spend on dental procedures. Root canal therapy usually won’t go beyond three appointments, and often will take two to finish. Immediate follow-up appointments are for permanent restoration (such as getting fillings and crowns) and are not part of the procedure, but are still necessary to ensure that the root canal treatment will last a lifetime. Furthermore, some patients opt for teeth whitening to bleach the darkened internal area of the tooth after the procedure, adding to the number of dental appointments to their planner. As you can see, the things you hear about root canal therapy are far from the truth or might have been twisted to sensationalise someone else’s experience. Do you have any apprehensions about the treatment? Let us know in the comments section below.